I've found that my homeschooled kids read more books. They also listen to more books. I like to mix-it up a bit, have them read some and listen to others. We've had great success with books for elementary age all the way through college. One time, some adult told one of my kids that "listening is cheating". It's not cheating, it's another way to learn, to understand, and to become a better more focused listener. It often helps move you along in the story at a quicker pace. Listening to words "spoken" is just as important as "reading" words. Try it for yourself and see if you hear things that you missed while reading. We're in high school right now. I had my junior-aged son read "Brave New World" and listen to "1984". Then we have discussed the plots and the authors and the controversial subject matter in "Brave New World". He listened on his laptop, so I got to hear some of the story as well. Sometimes you can find a download for free at a library website. But not always, and we've used itunes and others. One good source for audio books is Amazon's Audible.com. They have a rate that lets you join for three months for $7.49/mo. There's also a free month option. And they have a lot of books. You can listen to a sample before you get it too -- that's important to me. I want to hear the voice first. I found one of our favorites for elementary age: "Once and Future King" by T.H. White. 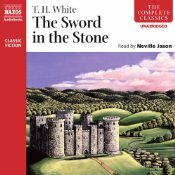 There's four books, the first one is "The Sword in the Stone"
They have a lot of books and you can listen on your computer (pc or mac) or ipod or phone.
" …everyone should experience Audible. 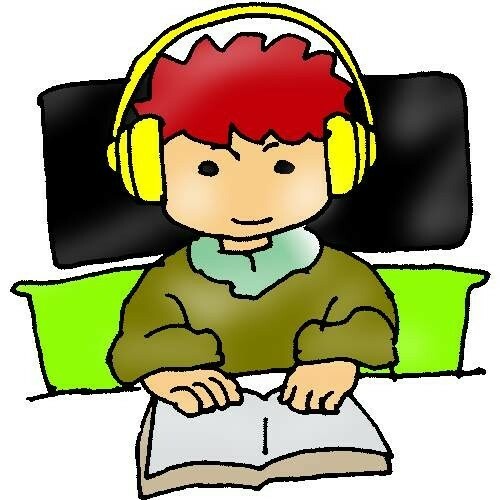 The joy of listening to audiobooks has never been so well mastered and easy to use. "- Dr. Stephen R.Covey, author of "7 Habits of Highly Effective People".